Floating the Deschutes River is a pastime near and dear to Bendites' hearts. 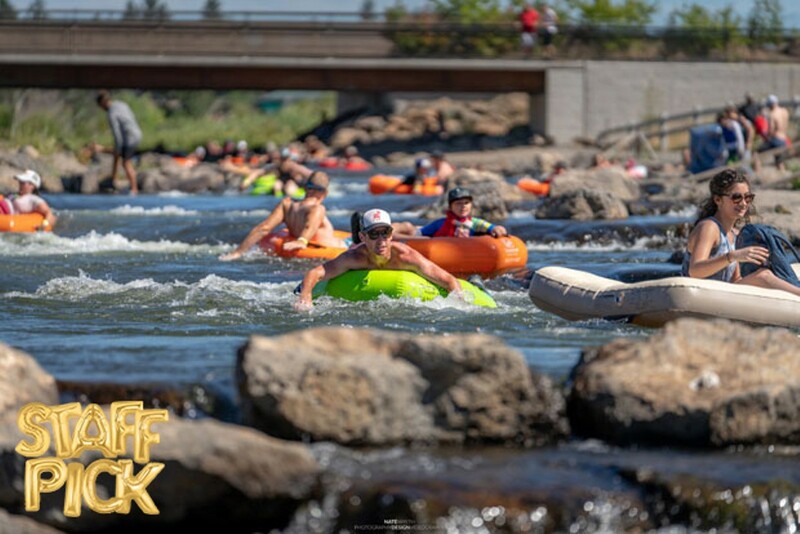 On any given weekend, you can find happy faces floating through town on tubes and, in some cases, questionable floatation devices (a legit tube is recommended to float the Deschutes, even if they aren't as fun as a pink flamingo). If you're unsure of what type of tube you should be purchasing or renting, Tumalo Creek Kayak & Canoe rents some heavy duty tubes with mesh on the bottom at the Park & Float throughout the summer. Don't feel like coordinating vehicles for pick-up and drop-off? For $3, floaters can take the Ride the River Cascades East Transit shuttle route from Drake Park to Riverbend Park. Just throw your tube in the back and enjoy unlimited trips for the day. Be sure to wear sunscreen and hydrate—and don't be a jerk. Drinking alcohol while floating on public waters is illegal. Whatever you bring on the river, make sure it leaves the river with you. That includes sunglasses, shoes and keys—secure your things! Otherwise, you may be up shi*$ creek without a paddle. There's usually a snorkeler or two in the Whitewater Park diving for lost objects. If you're nice, they may help you out.